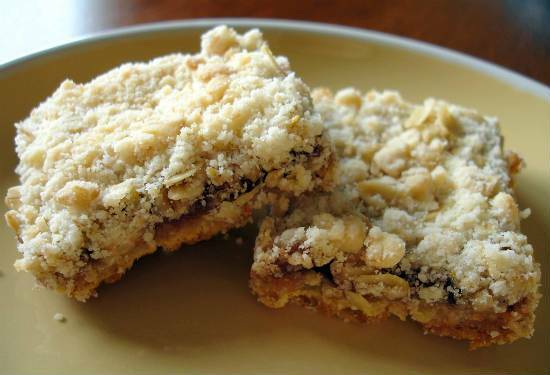 Start your day with a healthy breakfast bar with oats and raspberry. 1. Combine the flour, oats, caster sugar, brown sugar, salt, baking soda and almonds in a bowl. 2. Mix well until well blended. 3. Gradually add the butter and mix until it resembles a wet sand. 4. Transfer 3/4ths of the mixture to a large, greased baking tin lined with parchment paper. 5. Place it in a preheated oven at 350F/175C and bake for 20 to 30 minutes or until the crust is lightly brown. 6. Remove the tin and spread the raspberry jam on top. 7. Add the remaining mixture and bake for another 30 minutes or until the top is golden brown. 8. Remove and cool completely. 9. Cover with a plastic wrap and keep it in the fridge for 8 hours or overnight. 10. Cut into individual bars and serve. 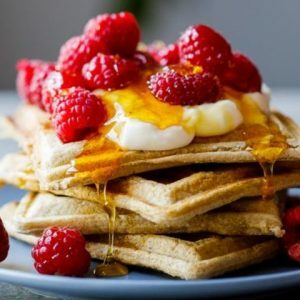 Feel free to comment or share your thoughts on this Raspberry Oatmeal Bars Recipe from Awesome Cuisine.